Forged out of steel, hammered on an anvil until it has reached perfection, not unlike the "Quiet Professionals". 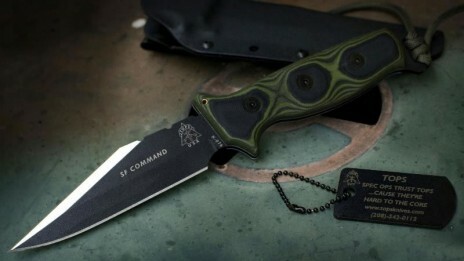 Forged out of steel,not unlike the Quiet Professionals, Kennedy's Green Berets, known as the US Army Special Forces. The Originals. Around long before Special Operations was a buzz word and will be around long after it is forgotten. "De Oppresso Liber (To Free the Oppressed) is the motto of the special forces. This unique group of individuals id still hand-picked through an assessment and selection process before starting the mentally and physically challenging qualification course to become a Green Beret, or Sneaky Pete. An adage from yester-year that still applies today, as is evident in operations in Afghanistan, Iraq, and numerous other spots around the globe. Incredibly hard training and constant evaluation produce a fine group of multi-qualified team members. Special Forces are tasked with unconventional warfare, foreign internal defense, special recon, direct action, counter-terrorism, counter-proliferation, PSYOPS, combat search and rescue, counter-drug operations, and any task at hand for CINC Commanders. Unlike other special operations groups, many of their exploits are never spoken of and never will be. They don't need recognition, nor do they require it. They operate on a different set of values. They are the "QUIET PROFESSIONALS". With TOPS, you can be assured that our SF Knives have been designed, created, and finished with input and evaluation from both current and retired SF personnel.